Thank you for your interest in a career with the University of Nebraska Omaha. Applicants must create an account in https://unomaha.peopleadmin.com/ in order to apply for UNO positions. If you have any difficulty creating your applicant account please contact Employment at 402.554.3998. For questions about faculty positions, visit the Office of Academic and Student Affairs website and contact the Asst to Sr VC/Faculty HR Officer, Academic and Student Affairs, Regina Toman. Use “Search Criteria” to select categories from which you’d like to see open positions. View the alphabetical list of open positions and choose one of interest. Choose the position of interest. Click "Apply" to attach your application. See "Attachments" section of application to upload your resume, CV, cover letter, and references. Is it possible to make changes or add attachments to an application once it has been submitted? After you submit an application - you may only edit basic contact information. The rest of the application cannot be edited after it’s been submitted. If you wish to attach documents or remove an attached document after you have submitted an application, contact Employment at 402.554.3998 for assistance. Before you submit an application - you can update your account, contact information and general application at any time. 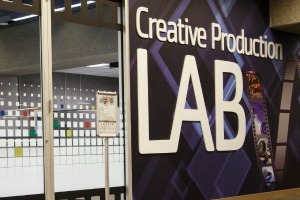 UNO's Criss Library was recently renovated to include a Creative Production Lab. “We are excited to unveil our new spaces, which reflect the library’s commitment to providing opportunities for knowledge creation and engagement with the UNO and Omaha communities,” said Audrey DeFrank, acting dean of the Criss Library.